A new museum has opened in the Molenbeek district of Brussels, which, it’s hoped, will help shed the negative image of the area most recently linked to the deadly attacks there and in Paris. The Millennium Iconoclast Museum of Art or MIMA is based in a former brewery on the banks of Brussels’ industrial-era canal. Originally due to open on March 23rd, a day after the Brussels attacks, the museum welcomed 4,000 visitors on its opening weekend in mid-April. “Since the beginning, the project was to use art as a medium to bring people together, and so to have contemporary art which is accessible. It’s accessible because these artists have learned to develop a very extrovert, direct, empathetic, playful style. I think citizens today feel involved in this kind of project,” said MIMA’s artistic director, Raphael Cruyt. “I think it’s a good thing that the museum has been built here because it allows people to come and get a completely different perspective on this area, which suffers from a lot of prejudice,” said one visitor. “It’s been a long time since I saw such an instinctive, explosive exhibition, which addresses the public so directly. And that’s a welcome change from exhibitions elsewhere, which are more conventional, more intellectual,” said another. Brooklyn artists Maya Hayuk, Swoon, Momo and duo Faile have taken over the building’s four floors for its first temporary exhibition entitled City Lights – an explosive display of cosmopolitan life through colourful works. The plan is to showcase two temporary exhibitions per year alongside the permanent collection. 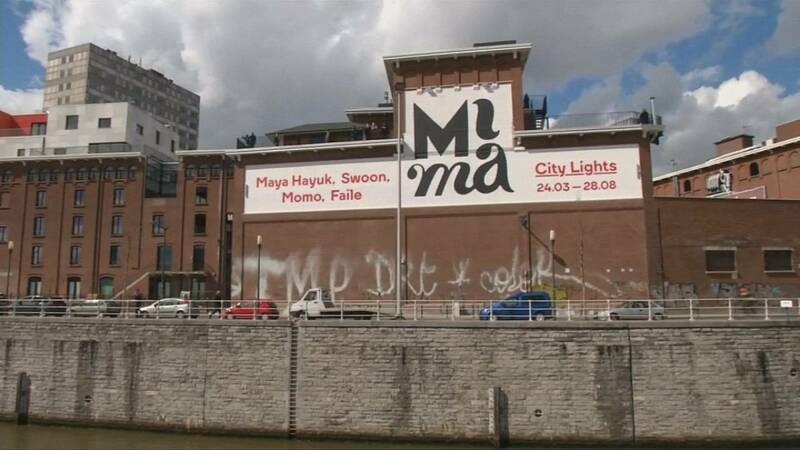 City Lights runs at Brussels’ MIMA Museum until August 28th.